The staff was all incredibly kind. The location is perfect. Restaurant is amazing. Great value for the money. It was extremely clean. It is right off the main road so you can hear the sound of traffic—not a problem for me since I ama light sleeper. Remember there is a one hour time difference from Tulum (one hour earlier than Tulum) which is important if you are trying to time your visit to Chicen Itza for when it first opens to avoid the crowds. The beds were very comfortable and we liked the regional decoration of the room. The restaurant service was super fast and the food delicious. 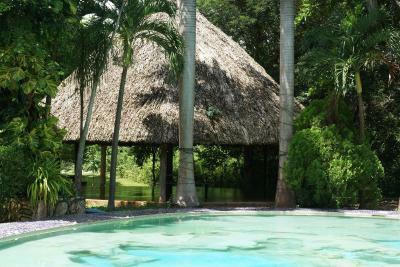 Amazing location, directly across to the Ik Kil Cenote entrance. 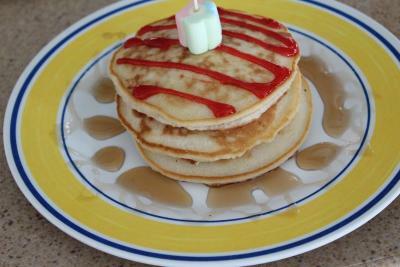 Breakfast was good. 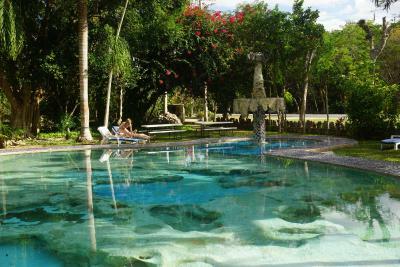 Location close to Chichén Itzá and a beautiful cenote. Simple but clean room with comfortable beds. Jungle sounds in the night. Nice pools. Helpful staff. Adjustable air conditioning and ceiling fan (both on/off). Free shuttle to Chichén Itzá (one way trip; take a bus to get back). The cenote is within walking distance. 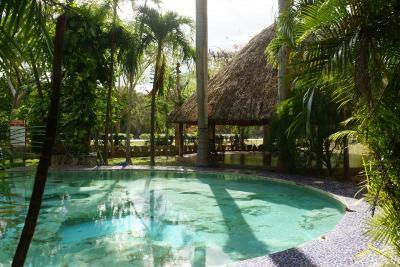 This property is excellent value for money in a great location directly across the road from the most amazing cenote Ik Kil. 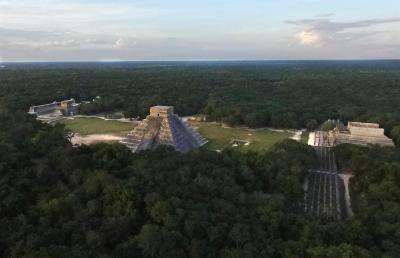 It is only 3 km down the road from the Chichen Itza site. 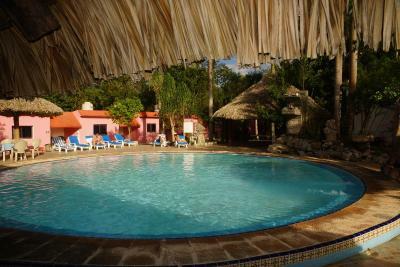 It has a beautiful cenote style pool at the resort and another small round pool near the restaurant. The food is great at the restaurant and the margarita's are also very good after a long hot day of site seeing. The staff was really nice and helpful. It was a relaxing place. 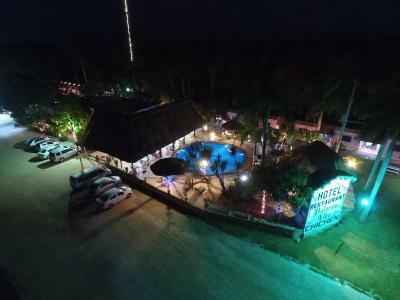 Hotel Doralba Inn Chichen This rating is a reflection of how the property compares to the industry standard when it comes to price, facilities and services available. It's based on a self-evaluation by the property. Use this rating to help choose your stay! 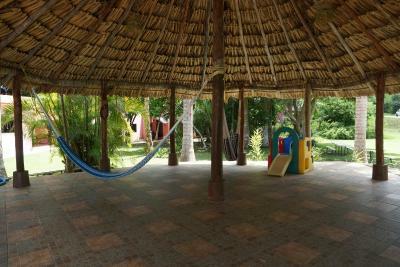 This bungalow complex is a 5 minute drive from the Chichen Itza Ruins. 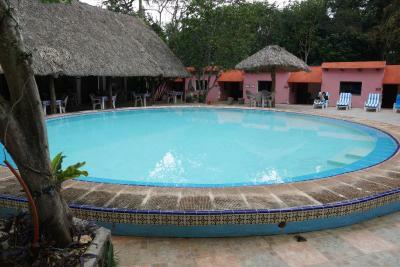 It features 2 outdoor pools and is a 10 minute walk from Ik Kil Cenote, a sacred natural pool with waterfalls. 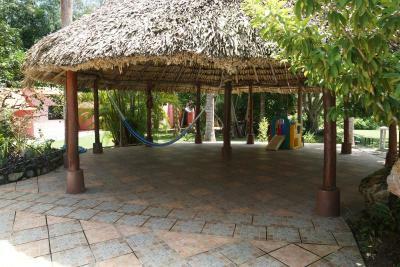 Surrounded by jungle, the pink bungalows feature a private porch and a bathroom with amenities. They are air conditioned and have a TV and fan. The Dolores Alba complex has a restaurant. Guests can relax with a drink at the poolside terrace bar. 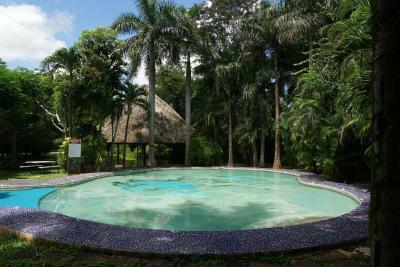 Dolores Alba Chichen Itza offers a free Wi-Fi zone and free parking. Balankanche Caves are 4 miles away and it is 9 miles to Chichen Itza Airport. 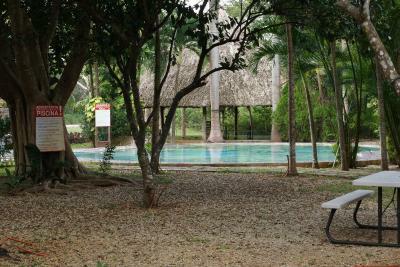 The tour desk offers discounts for Cenote visits. 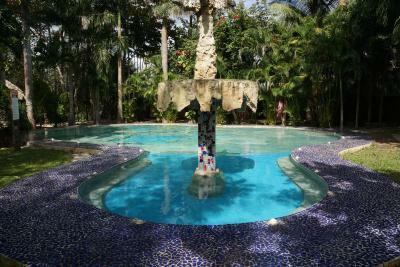 When would you like to stay at Hotel Doralba Inn Chichen? Room with private porch and 2 double beds, for one person. Room with private porch and 2 double beds, for up to 2 people. Room with private porch and 2 double beds, for up to 3 people. Room with private porch and 2 double beds, for up to 4 people. 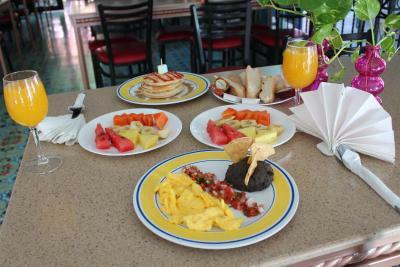 House Rules Hotel Doralba Inn Chichen takes special requests – add in the next step! Hotel Doralba Inn Chichen accepts these cards and reserves the right to temporarily hold an amount prior to arrival. Wi-fi was not available on in rooms. 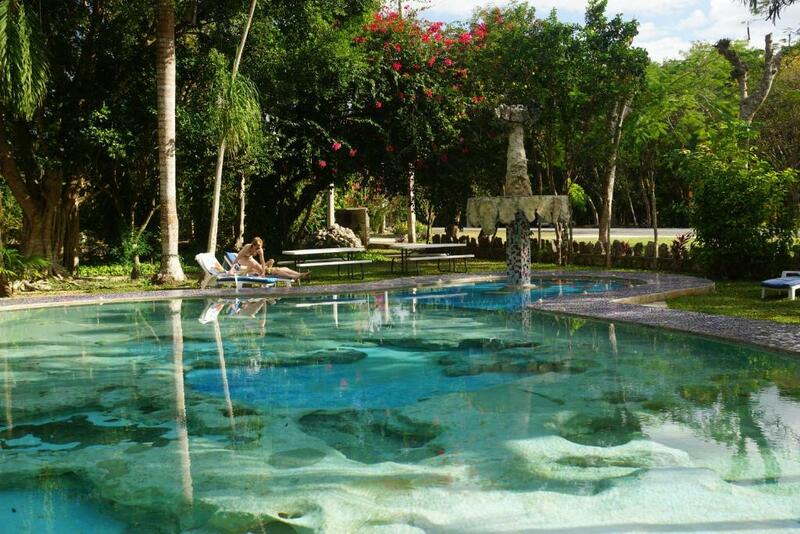 There are two swimming poll, one has really natural (stones) ground. It was close to cenote and few minutes by car to Chichen Itza. The restaurant only has about 8 choices on the menu, only Mayan cuisine. It’s not my top choice of food but the soup was really tasty! Maybe have some snacks to hand for yourself! 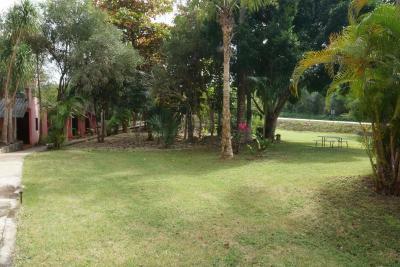 Perfect location 5 minute drive from ruins! Also a fantastic Cenote directly across from hotel was one of the best I’ve seen!!! 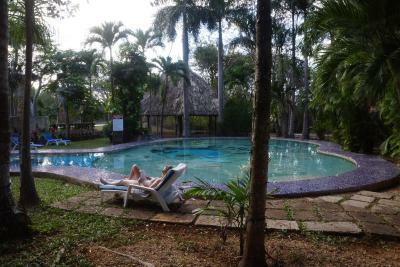 (ik Kil) We really enjoyed our stay here it’s quiet and all you need, pool was a lovely refresher after a hit day walking around the ruins. 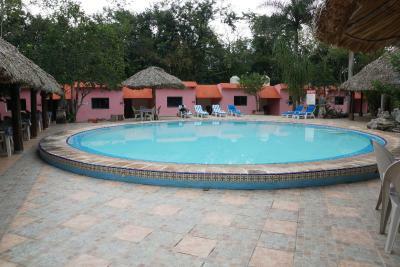 There are two pools at the property but only one (the one close to restaurant had sun loungers) it’s about a ten minute drive into the little town, not much there but a few restaurants and souvenir shops. 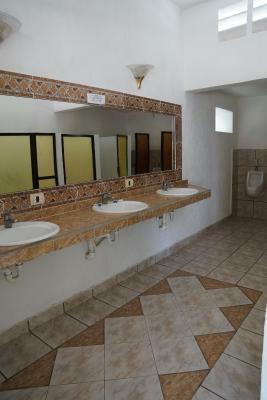 The room was lovely clean and fresh with safe box and tv (only Mexican channels) cleaned daily with fresh towels. It’s good value for money! 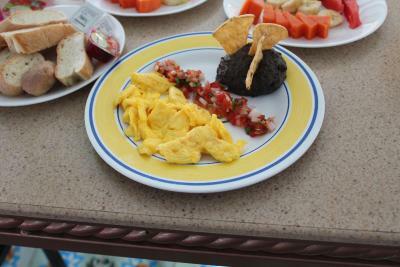 Breakfast was fruit, scrambled eggs with ham and really delicious crusty bread. Comfortable room. 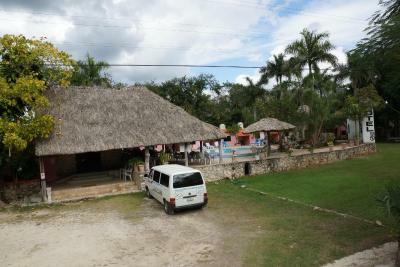 Great location, close to cenote Ik-kil (opposite to the hotel) and Chichen Itza (free transfer from the hotel). Friendly staff. Could be much improved with a little warmth from the staff. 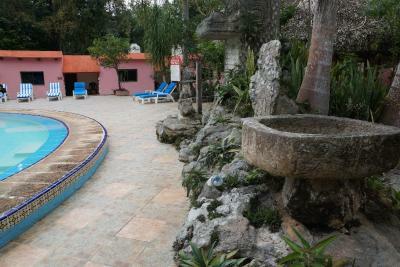 A basic motel close to Chichen Itza. Nice pool. The staff never smiled. After 3 days the food became very boring. The bed was rock hard. 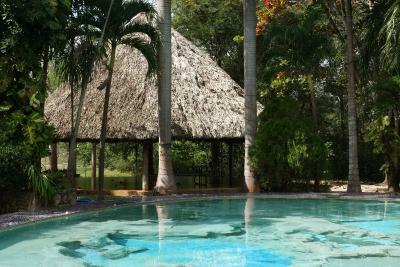 The location was ok, there was a beautiful cenote just across the road. It was only a short taxi ride to the ruins. Wi-fi only in the common areas - pool, restaurant. We only stayed for a night, but definitely this a good choice. Room is big with ac, fridge, tv. 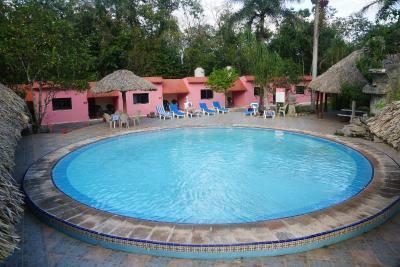 Nice pools, big parking lot, good breakfast and really close to Chitzen Itza - 5 minutes driving and one of the most beautiful cenotes in Yukatan - 3-4 minutes walking. Good value for the money. 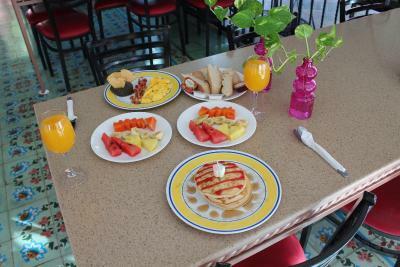 It is situated on the main road to Cancun, and large trucks roar past all night. 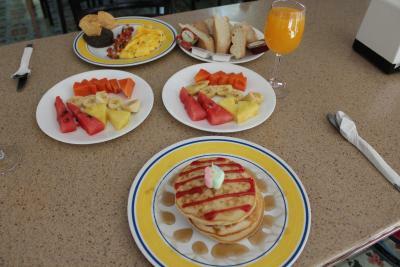 Breakfast was good, the swimming pool clean, bedrooms comfortable. If you wan't to visit Chitzen Itza, this is the best place. Restaurant is quite good.